It looks like the deals just won't stop. For quite a while now, Android users in the US have been able to use their Groupon app to find and redeem good deals on everything from restaurants, to tours, to hair dye, and sweet rainbow bangles. Now, the fun is going international. 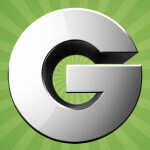 Groupon has updated their Android app to add support for Groupon in France, Germany, UK and Brazil. So, now users in those countries will have easy access to the deals. The Groupon app has a couple of different ways to find deals. First, you can check the featured deals, or the list of daily deals. Or, there is also an option to find the closest deals to your location based on various categories including whether you want to eat, get pampered, go out, or take a class. The update is available now in the Android Market.